Sponsor: Churchmouse Yarns and Teas is nestled in the little alcove of Madrone Lane on the beautiful Bainbridge Island in the Puget Sound. 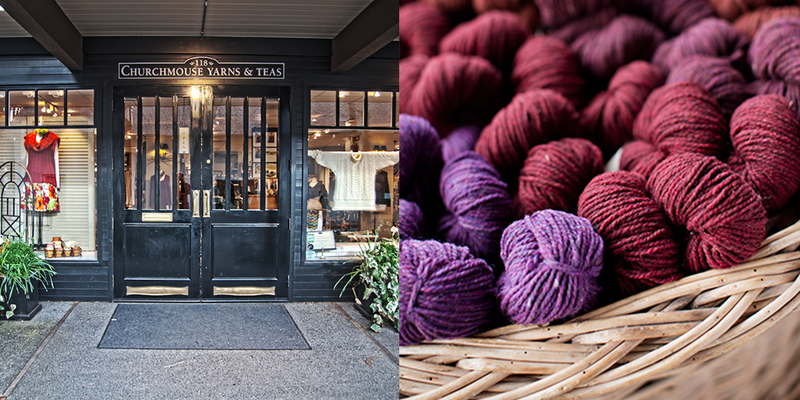 Just up the street from the ferry, this was my first local yarn shop…a place I remember visiting in my teens, mesmerized and enchanted by this cozy yarn and tea emporium. It was what I dreamed of aspiring to as a knitter, a place I visited often over the years as I grew up and now look back on as a key memory in my fiber journey…a push in the right direction. Churchmouse opened in 2000 with the intention to help people make their lives beautiful by making beautiful things. 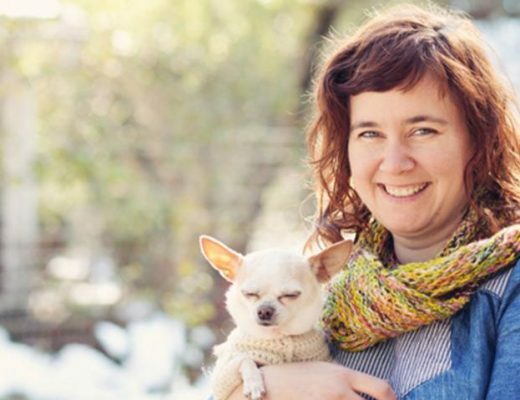 From their carefully curated selection of yarns, patterns, gifts and tea, it’s easy to see why Churchmouse has become a favorite for both local and distant knitters. Make sure to visit Churchmouse Yarns and Tea when in the Seattle and Olympic Peninsula area and visit online at churchmouseyarns.com to experience a bit of the magic from the coziness of your chair. And make sure to follow on Instagram @churchmouseyarns, and join the Churchmouse group on Ravelry for knitalongs and support from the design team. 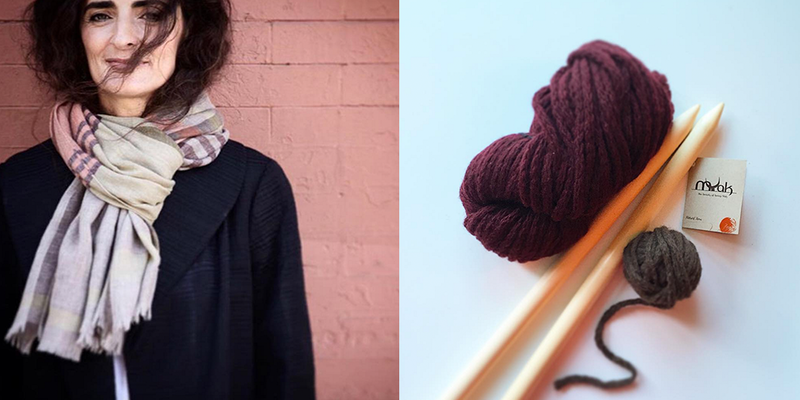 Fiber folk: Paola is an amazing woman with an amazing story, from growing up in rural Italy to immersion in Tibetan life to finding herself in Brooklyn, with a family and a rich history and future for her fiber and textile company mYak. 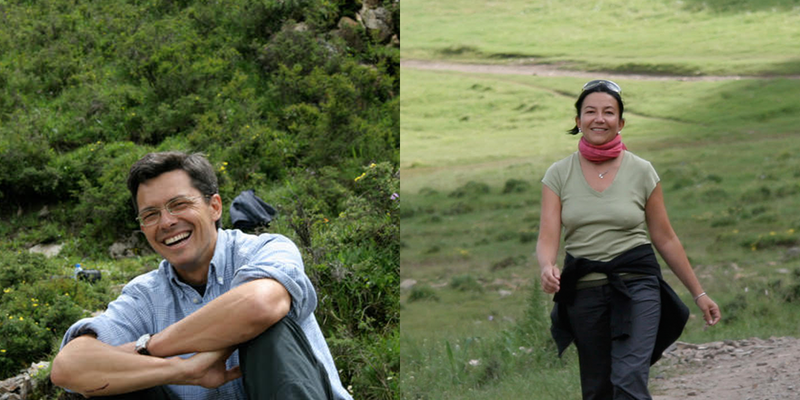 Like with many yarns, mYak has a rich story and impact on our global fiber community and I hope you enjoy getting to know Paola and the mYak vision as much as I have. You can find Paola at mYak.it and on Instagram @myak_us. 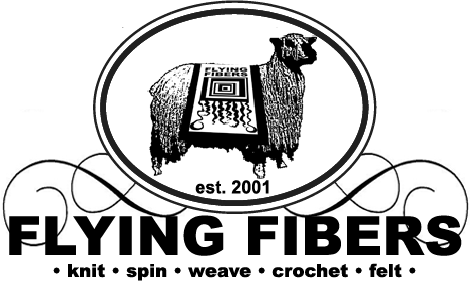 Sponsor: Flying Fibers is brought to you by the mother-daughter team of Jeri Robinson-Lawrence and Irina Lawrence. Both women are passionate about providing beautiful products to crafters of any skill, as well as promoting the preservation of rare breed sheep. In the yarn store, you can find a range of British yarns, including their exclusive yarn line, Yorkshire Medley. 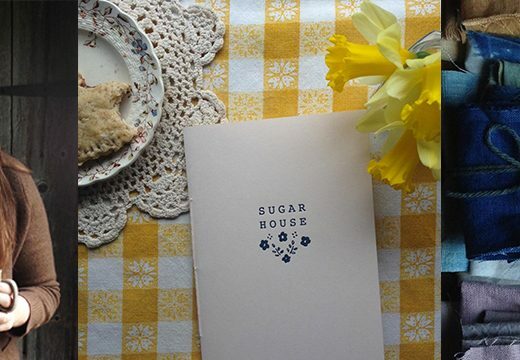 In addition to owning a yarn shop, Jeri and Irina have a flock of rare breed Wensleydale sheep, and endangered Leicester Longwool sheep that they raise on their farm in York County. You can hear their fiber journey in episode 21 . Fall/Winter Woolful Knitalong: This week was the kickoff of the year long Woolful and Biches & Buches knit along. 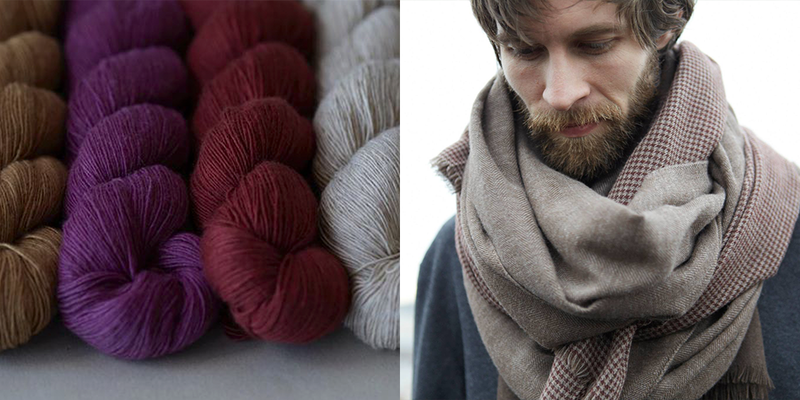 Let’s celebrate the cooler seasons, casting on one of Biches & Buches patterns or with one of their yarns. You choose how you’d like to join the knitalong and then we’ll get started. 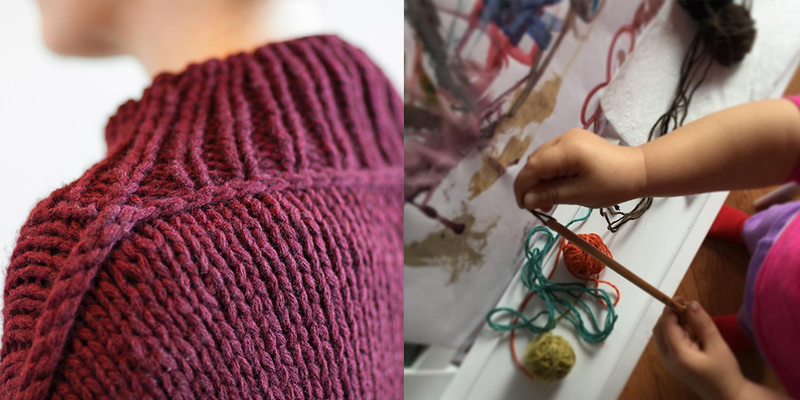 Visit bichesetbuches.com to be inspired and find your project kit or yarn and look at the previous post for more info on this knit along. Giveaway: The winner of last weeks giveaway is Nicki Norris, you’ve won the Mae Pullover pattern designed by Andrea Mowry along with the yarn to make it from YOTH, and a set of Petoskey stone stitch markers from Wool and Honey. Congratulations! This week’s giveaway is sponsored by Churchmouse Yarns and they’re giving away the Churchmouse Pressed Rib Cap pattern along with two skeins of mYak Medium yarn needed to make the hat. They’re also giving away a caddy of Harney & Sons Cranberry Autumn Tea. To enter, leave a comment on this post. I took a spinning class today and we spun some yak by itself and some yak and silk together. A yak hat would certainly be nice and warm. The photograph is beautiful! I’ve not seen this blog before – found you through Fringe Association. Now I’ll be back often. I love Churchmouse. I live within driving distance and it is a lovely day trip. If I don’t win, I’ll have to pick up some mYak on my next trip there. The cranberry autumn tea is delish! I have a tin of it and drank some this morning! I want to visit Churchmouse Yarns and Teas so bad! Maybe I will get to do this in 2017! And how nice it will be to knit with yak yarn. Thank you for the inspiration! 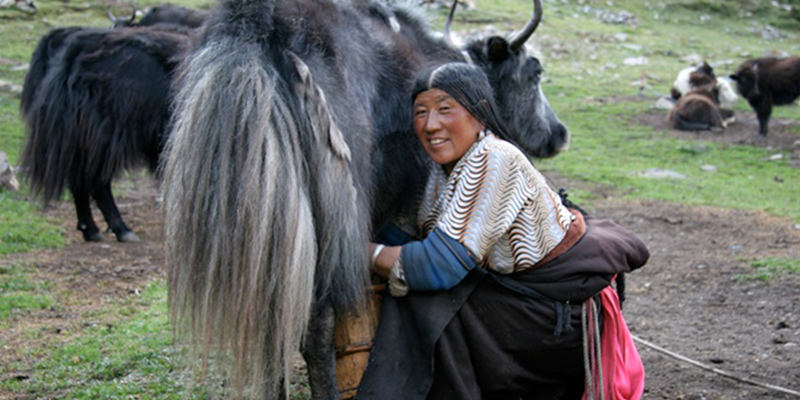 That myak looks delicious- love all of the yak I’ve knit with but the story behind this is lovely. Wow! This was one of the most fascinating episodes ever!! I learnt so much and would love love love to have some of their yarn in my hands. Great to hear about mYak. Long ago, I wove a small rug in rough camel hair, yak, and wool. I loved it, but unfortunately my dogs did, too. :>( Would love to try knitting with yak down. By the way, is there any chance Biches and Buches will put more of their patterns on Ravelry? I would love to knit the salmony and gray sweater with the split hem, but cannot afford one of their kits right now. Churchmouse is a dream shop visit for me.. someday! I so look forward to your podcasts! I love Churchmouse! The ferry ride is just enough distance to prevent me from getting there more than once a year….but what a dream! I have never knit with yak, that too sounds like a dream. Another great podcast- so glad the blog is here to see the pictures as well- great job….again! Very eager to listen to this podcast, as usual. I’ve been wanting to learn more about mYak, and now here this is for the fiber community. Thank you for the weekly inspiration. I was so excited when I finally had the chance to visit the Churchmouse Yarns shop this year – I could have spent hours browsing there! Wonderful episode as usual! Had already heard about mYak yarn from Michelle Wang, she loves this yarn. Thanks for a great giveaway! Nice podcast, very interestin to know how this yack yarn is born. Another interesting podcast! Thanks for always putting such effort into these for us. And for the giveaways! Another fun adventure! Thank you Paola! Thank you so much for such amazing stories! I’m excited Churchmouse is a sponsor . . . I’m lucky enough to be close enough to drive here and I agree that it is a place of magic! I get yarn and my hubby gets tea!!! I love the story behind this yarn and yak is such an amazing fiber. It will be exciting to watch this company grow. So interesting. And, I visited Churchmouse last spring while on vacation and just loved it there. What a fantastic story and personal journey! Thank you for bringing us this podcast. 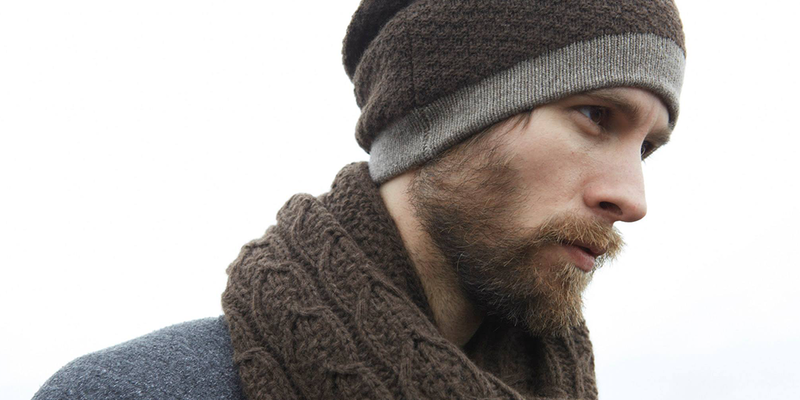 I am a longstanding Churchmouse fan and would very much welcome the opportunity to knit with the beautiful yak yarn. I wanted to let Paola know that I very much enjoyed the instagram page but couldn’t figure out how to get more information on some of the wonderful patterns? The one I loved was the burgundy chunky knit sweater/poncho. Any help figuring this out would be appreciated. My favourite episodes are the ones featuring european people and brands! I feel like I can support these companies without having to worry about shipping across the Atlantic. And this story really strikes a chord with me. Wow! It was really interesting! I found your blog through tanisfiberarts. So excited to listen to this – I’ve been a big fan of this brand for a while now! Can’t wait to listen to this episode and so glad this yak yarn is available to us. I did not want this episode to end! What an amazing journey and exciting future for mYak and Paola. A very generous giveaway, as well. Thank you for providing such insightful interviews. I love how you allow the guests you have to speak- so often podcasters will have interesting guests and yet continually interrupt them, missing out on the whole story. I look forward to each of your episodes. What an admirable business model. 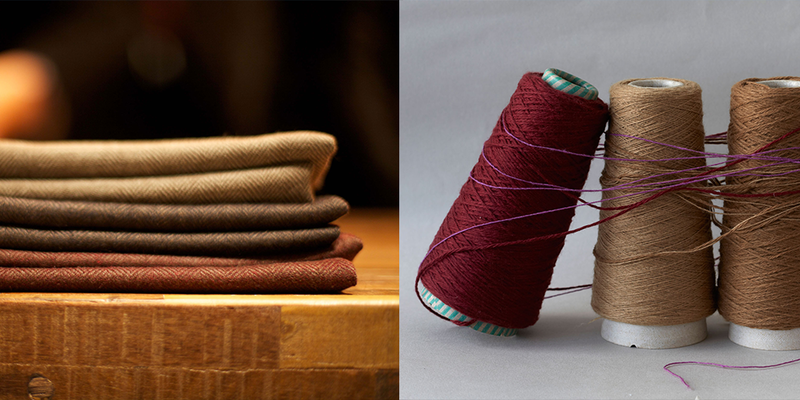 I personally love colours dyed on naturally coloured fibre, it has so much depth to it. Thanks! I’m almost caught up on the back catalog of podcast episodes, and this is my first time visiting your website. The photos are absolutely gorgeous! I love listening to (and now viewing) Woolful! Very fascinating episode. Well done. What a beautiful shop – such an inviting entry. Love Harney & Sons teas, but haven’t tried this one. another wonderful podcast – and inspiring story. thanks to you both for taking the time to share what you love. What an amazing and informative episode–Paola is quite an inspirational woman! Many thanks for your excellent podcasts! Yak yarn! That would be a new experience. Looking forward to the podcast. Thanks for this very interesting episode. Harney & Sons teas are so tasty! The stories of great variety in your pod casts are such fun to listen to. What a wonderful interview. Her business model is wonderful, I wish more companies were this thoughtful and transparent. mYak yarn is absolutely gorgeous too, I would love to knit with it some time. Placing it on the dream list! Another fascinating episode — really admire the myak business model. Would love the opportunity to try the yarn and tea. Fascinating!i l love Churchmouse – staff, product, store layout. Looking forward to seeing and feeling Myak soon. What a wonderful story again. Thank you for making it possible to hear these incredible inspiring stories, even in Amsterdam. Follow your dreams and don’t give up. That is what I try to do, also being a mother of a small girl . Knitted quite some, and also with different materials, but never with yak. Would love to, so very happy to participate in the give away. As an inspiring farmer, dreaming of my own farm and what animals I want to populate it with, your podcast has been so inspiring to listen to! I love hearing others stories, how they got started and the knowledge that can be gleaned from such intimate conversations. Thank you so much for offering up such an awesome podcast! I can’t wait to listen. Thanks for the chance to win. What an interesting story and beautiful photos! Thank you for the opportunity to work with such a unique product. I really enjoyed this podcast and hearing more about Paola and MYAK. 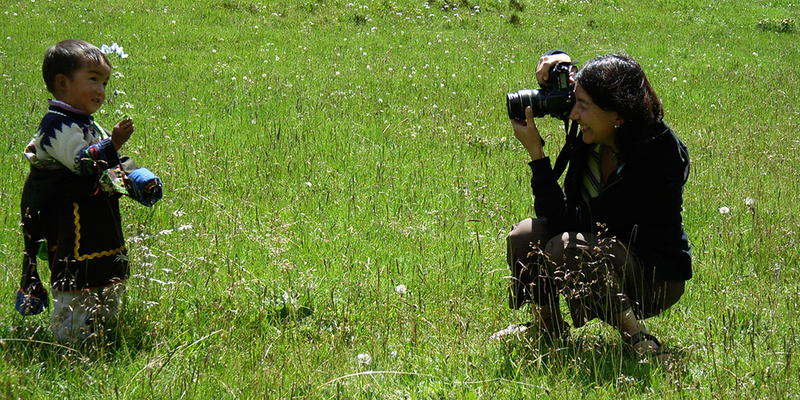 I have been to Tibet and fell in love with the people. 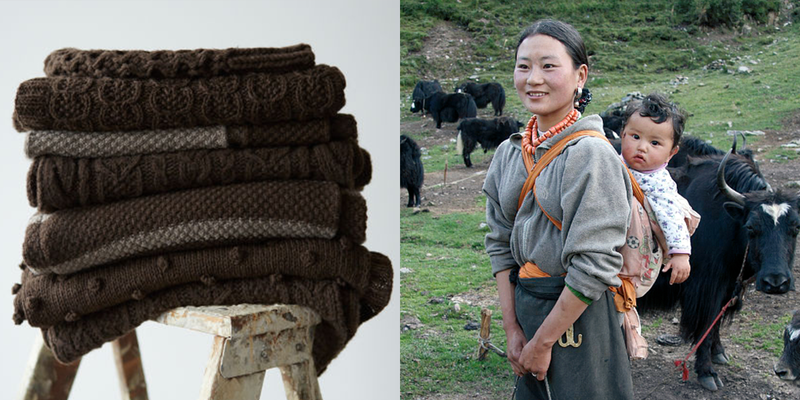 I had the most magical exchange with several Tibetan women that was inspired by my seeing one of them knitting. When I mimed to her that I had knit the hat I was wearing, she beckoned to her friends and they all gathered around and examined it in detail. They were shy, but curious and delightfully quick to laugh. It was a moment I will never forget. If I win the Myak yarn, I will make something that I can take with me the next time I go to Tibet. Loved this podcast! So interesting and the yarn is so gorgeous! What beautiful photos! Thanks for the chance to win such lovely yarn. Ok I really want to win this yak yarn. It sounds so soft and the story about it on the podcast is wonderful-as always. Another interesting podcast and giveaway. I’d love to try this yarn. Those photos are so stunning. I wish I could visit Tibet! I’m a big time tea lover, so this cranberry tea sounds amazing!! Thank you for the podcast! What an inspiring woman Paola is! Thank you for the opportunity for this generous giveaway! I’ve been listening to Woolful pretty regularly and have to say this is one of the coolest stories and neat that my LYS sponsored and has the myak yarn. Woolful has been there along with making my floorloom at home and gathering courage to keep going with this new great thing that had slowly been taking over my life in the last year, all centred around wool.. And being very animal welfare and ethically conscious, i was this week faced with the problem that people are actually for the first time asking me to weave them things, scarves for winter in particularly; and this being mainly brought on by a scarf I wove in Japan recently, made in cashmere, so now all my friends and colleagues are asking for this very same product, personalised with their colours. 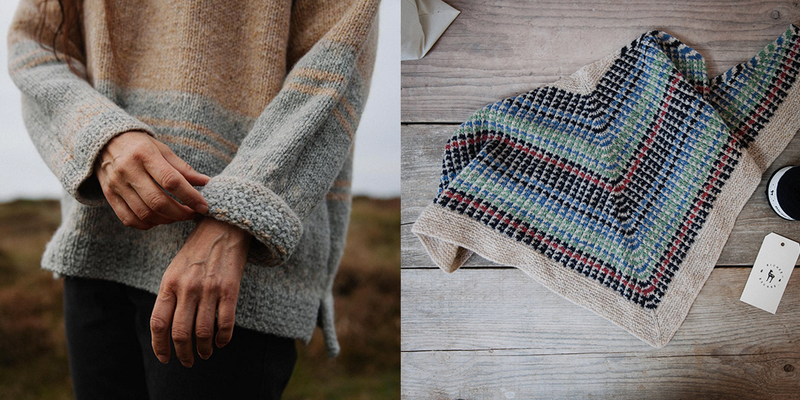 Being very new to wool still, I spent a whole week obsessively scouring the internet for ethical cashmere, and in the end also yak wool, as these both seem so prized for their softness, but without much transparency there overall. I really should be using British wool, as this is where I’m based being faced with these requests.. So then what a revelation and timing to listen to this long awaited podcast, and hear the very thing i was looking for described with so much passion! I immediately wanted to buy into this brand. Now I just need to get some of it to the UK! Another great episod!!! Thanks for a great giveaway too! Wonderful story! I’m from Italy and it was easy for me to imagine Paola in the Dolomites and then in Venice. I visited Lhasa and Nepal and the beauty of these places is unspeakable. Thank you for another great story! What a great story! I had never heard of myak before but looking forward to ordering some now. Can’t wait to listen while I knit tonight! Loved the podcast! I managed to finish my pair of socks listening to it. What an enlightening story! I would love to knit with Yak! Thank you for another wonderful podcast! Amazing podcast once again, thank you!!! 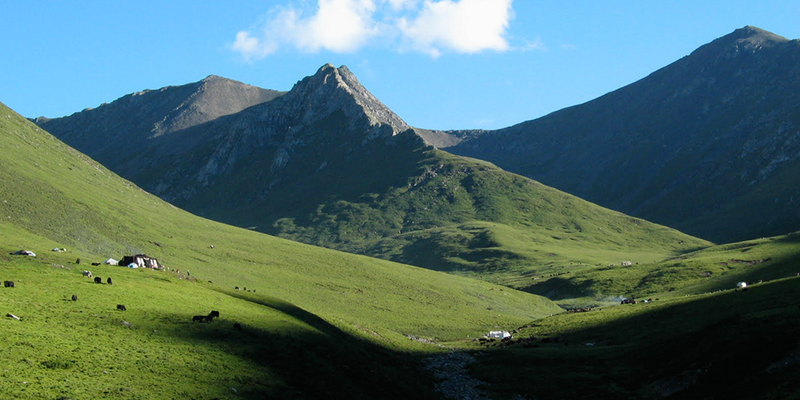 Would love go to Tibet. Thank you for another enjoyable episode. The yarn looks lovely. I really enjoy your podcast. You have such amazing fiber folks on. Thank you! I really enjoyed this episode. You have a very good voice for podcast. Loved hearing about Tibet and Yaks. The photos are beautiful! Another great giveaway! Thanks for the awesome podcasts you do time after time! Many thanks to Churchmouse for leading me to your podcast and blog! I love the variety of interviews you do, and the many new sources of fiber to be found! What a wonderful story, what a wonderful yarn! I would love this price, but who wouldn’t? Inspiring, as always! Thank you. Definitely one of the most exciting and fascinating episode I would be just satisfied to touch this yarn. Really enjoyed the interview. 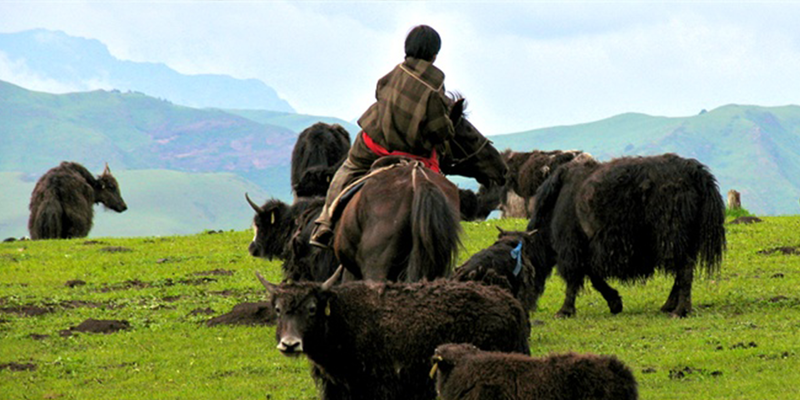 Yaks. How cool. I hold the greatest regard and respect to people like Paola. I wish I had the courage to follow my heart the way she did/does. I loved this episode. Thank you. Wow! What a special fiber and business! Wow! Yak!! Thanks for the introduction and wonderful story/journey! More wonderful storytelling! It’s always a highlight to listen to stories of the people you portray on your podcast, Ashlie. And who wouldn’t want to work with this beautiful fibre? Thank you for this inspiring podcast. I loved hearing about Paola’s efforts and respect given to the Tibetans and the help given to maintain their way of life. Very interesting story of Myak. Sounds like a lovely yarn! Thanks for another lovely episode. Currently listening as I view the lovely photos. A fascinating story. Will check mYak for yarn. Planning a trip to Churchmouse also. Love seeing my LYS sponsoring you, Ashley! 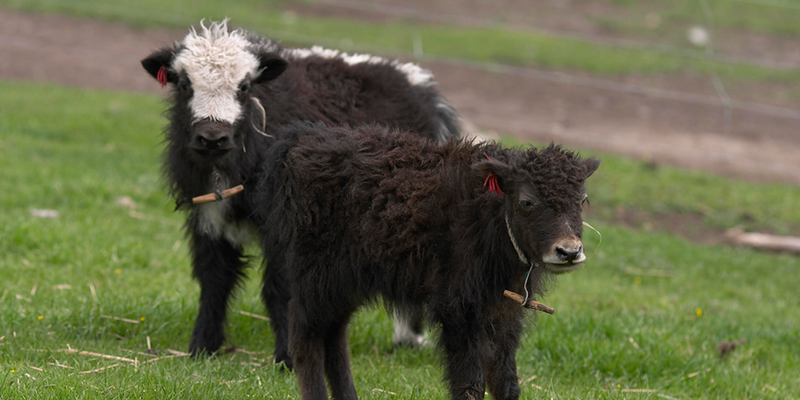 Those yaks are DARLING! 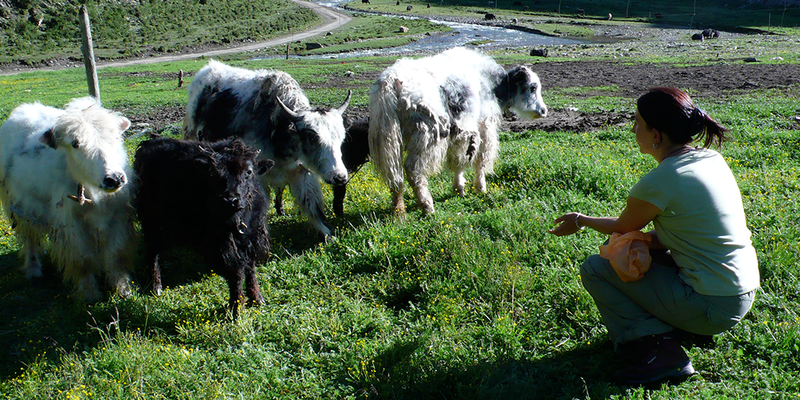 Did you know there’s a yak farm starting up on the Kitsap Peninsula (Poulsbo’s “Yaks in the Cradle” farm)? I saw a demo on how they prepare the fiber and let me just say, I don’t think I have the patience for it. Still, I can’t resist those faces! So want a herd of my very own. Saving this delightful podcast for vacation next week. Baby blessingtide to you!! I am a Churchmouse devotee from the moment I first walked down Madrone Lane in 2003. I make an annual pilgrimage there which is an annual treat for me. Love your podcast and always learn something new with each episode. Thank you! Wow. What an inspiring woman Paola is!!! Loved hearing this, thank you. I loved hearing the story of this company and seeing the pictures of Tibet. I want to purchase some of this yarn just so I can be a part of what this company stands for. That yak yarn sounds delightful! This was an interesting episode about a different kind of fiber I’d never known before. So glad I stumbled upon the podcast! 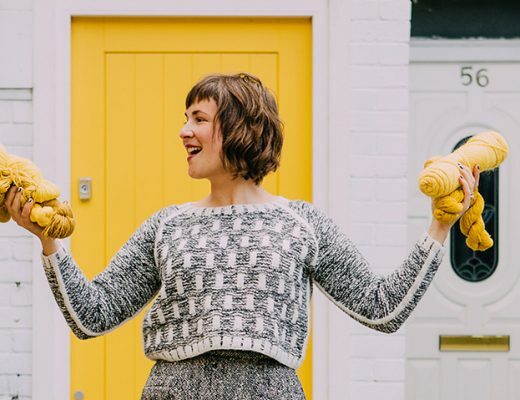 I’ve been looking for a new knitting podcast and this fits the bill. 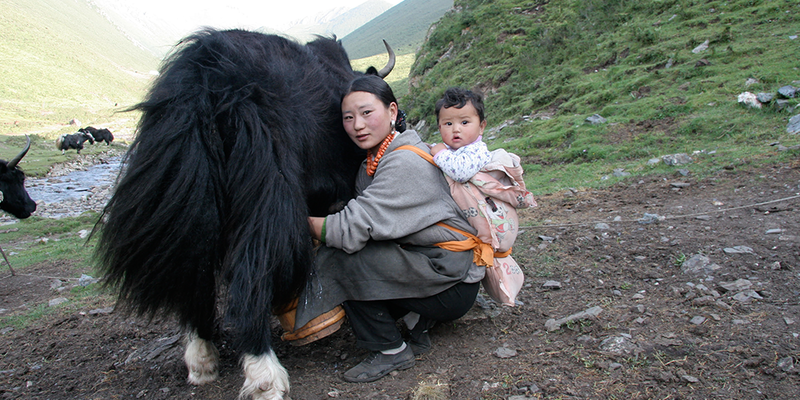 I haven’t tried knitting with yak fiber before, but would love to give it a squish and a try. My favorite part about this podcast is all of the new types of fiber I learn about. Would never have considered knitting with yak yarn , but now I can’t wait! I also loved the global aspect of this episode. Plus, now I won’t look like a fool by pronouncing this brand m-Yak instead of my-ak. Very fascinating. And the beautiful pictures… Thank you! This was a very interesting interview. Thank you, Ashley, for sharing Paola’s story and the story of mYak. 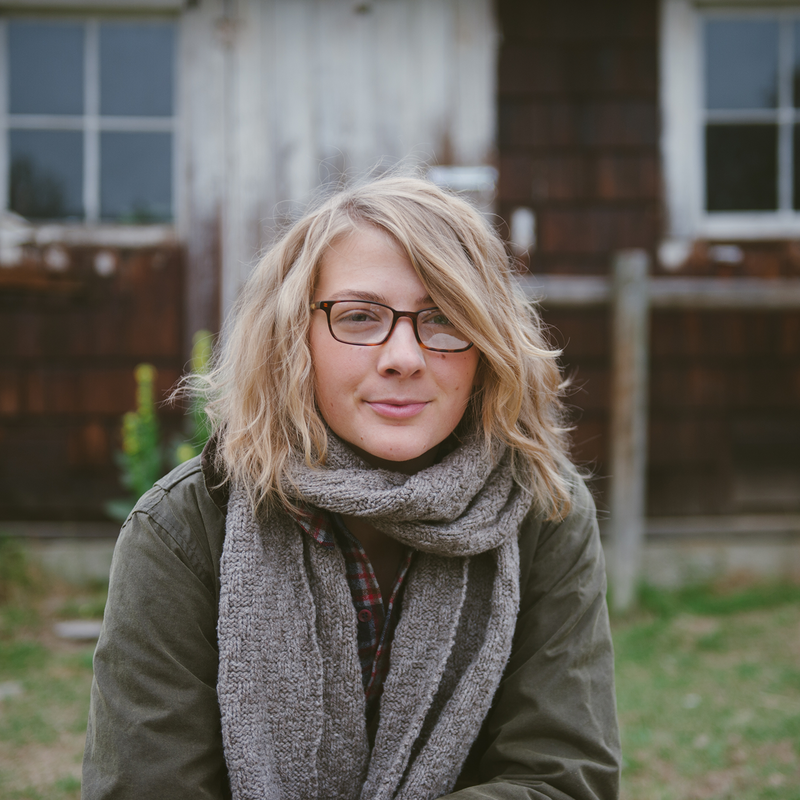 Thank you, Ashley, for bringing the world some consciousness, one podcast at a time! This is an amazing story. Just fantastic. This was a really interesting interview! I’m so glad to hear that the company is going certified organic, and that they will be the first certified organic yarn company in China. Let’s hope more follow in their footsteps, because that’s truly an achievement. So inspirational! 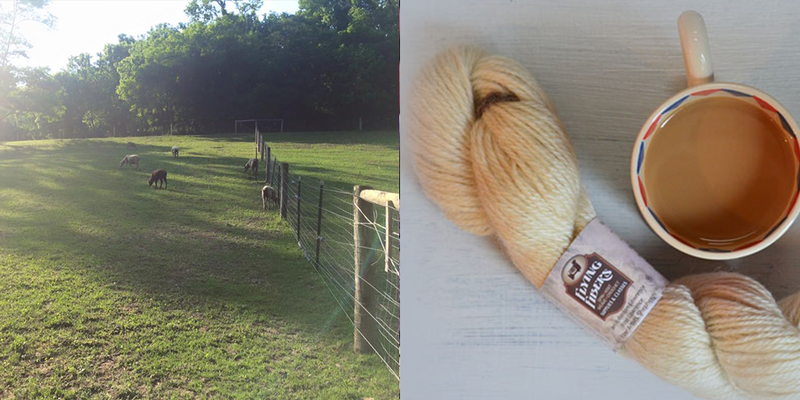 Thank you for sharing your story and contributing to the yarn folk community! I knit the Churchmouse Pressed Scarf and Hat patterns for my husband (he picked out the patterns) and he wears them everyday in the winter. In Canada, winter is long. They were wonderful knits and an interesting finishing technique for a (relatively) new knitter. Very inspiring. I look forward to knitting with some yak. Yak fiber! I’m completely intrigued! I’ve been learning so much about the world via fiber. Keep the wonderful podcasts coming! Thank you! What a very interesting journey Paola has been on!! 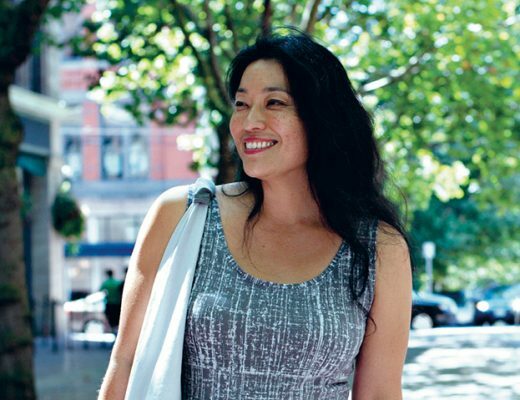 I loved hearing her story and look forward to seeing mYak yarns! Thanks for another great podcast. I loved hearing how they were able to work with the different communities and grow in a controlled way. I have just discovered this delightful podcast. So happy to listen in! Thank you for the amazing pictures and interesting stories. Such an interesting start to a business! And what a beautiful setting for fiber to come from! Would love to visit Churchmouse. One could get into so much trouble! Just found your podcast, and am loving it! Thanks for putting so much effort into these interviews, they are wonderful. Tea and yarn are two of my favorite things in this world. Always a pleasure to listen to the stories behind the people involved in these companies. Thank you for making this podcast! look forward to the next episodes. 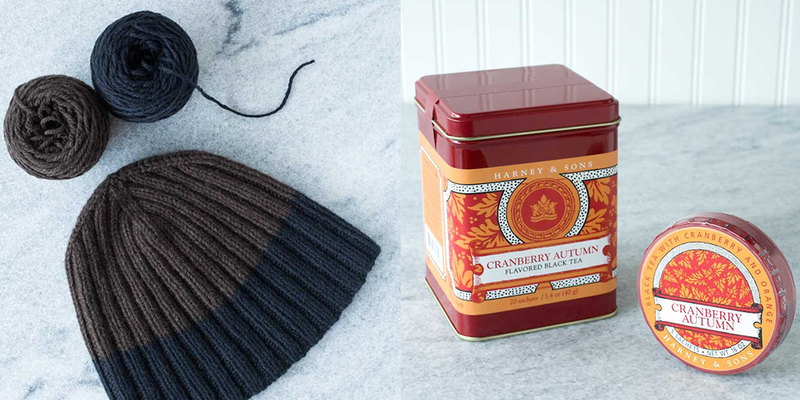 perfect winter combo….wool hat and cranberry tea!! Thank you for all you offer here on this blog! What an amazing episode. it was truly inspiring. I’d love to visit Churchmouse and Bainbridge Island. I love the Pacific Northwest. Thank you so much for your thought provoking, thoughtful, podcast. I would love to try yak yarn! Thanks for another great podcast! So interesting story! I would love to try yak yarn! What a great story! I enjoy listening to your podcast because it always expands my world. Really enjoyed this week. Great podcast, thanks! I loved listening to this episode. Fascinating lives, beautiful photography and gorgeous yarn. Thank you. Great episode! I love how sustainability is very much part of the business. I loved to listen to this gorgeous episde, amazing story bringing together all the good from different cultures, Being italian i felt really proud on how the textile knowledge is used to make this gorgeous sustainable Product. I enjoyed this podcast and learned alot about Paola Vanzo. The pictures are a great addition! Wow what a great story. I live on a small farm in Australia and have had Angora Goats and coloured sheep but my hubby was not too impressed when I suggested maybe a yak would be good? Knitting with yak yarn sounds so good. I have not had the opportunity to use it.